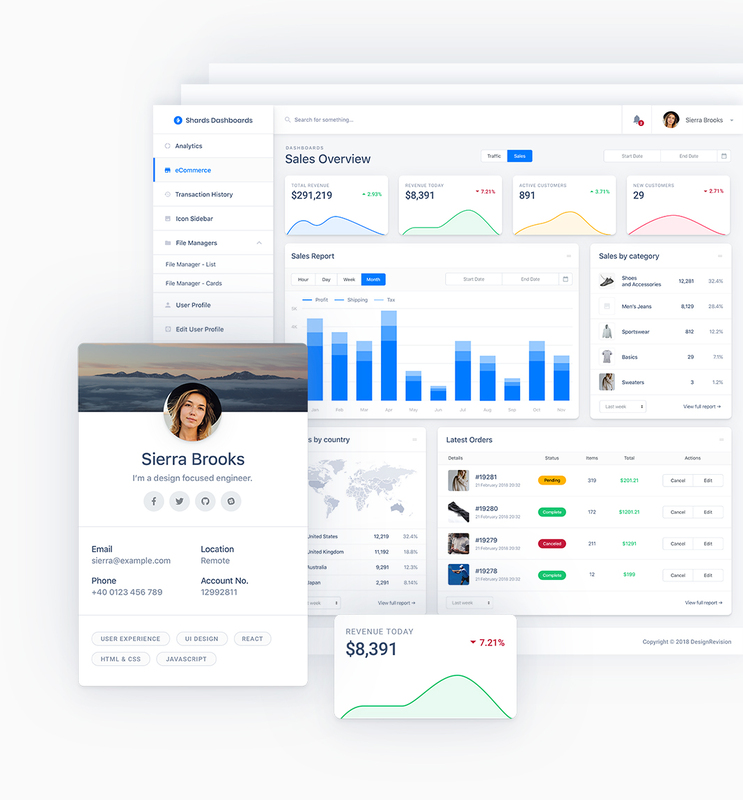 A premium Vue UI kit packed with 18 custom templates and dozens of custom components for admin dashboards. 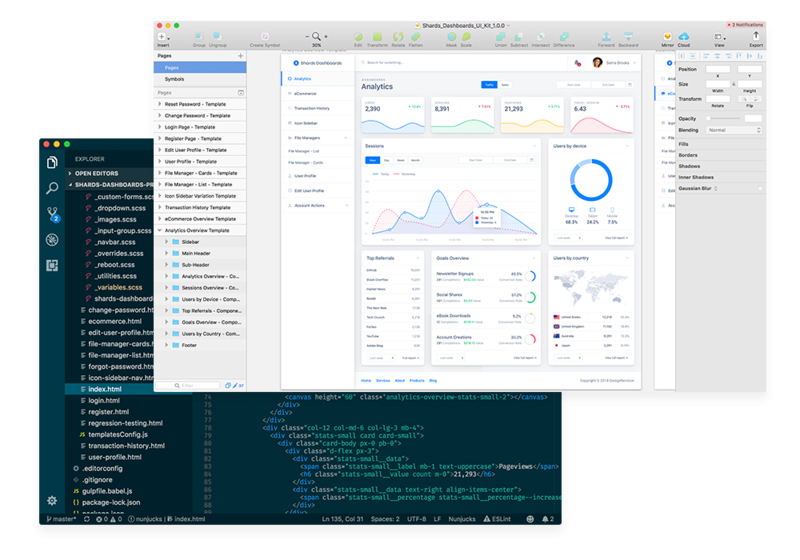 Shards Dashboard Pro Vue is built from scratch while following modern development best practices. Shards Dashboard Pro Vue comes packed with 18 custom templates and many components built to meet almost any type of admin dashboard requirements. 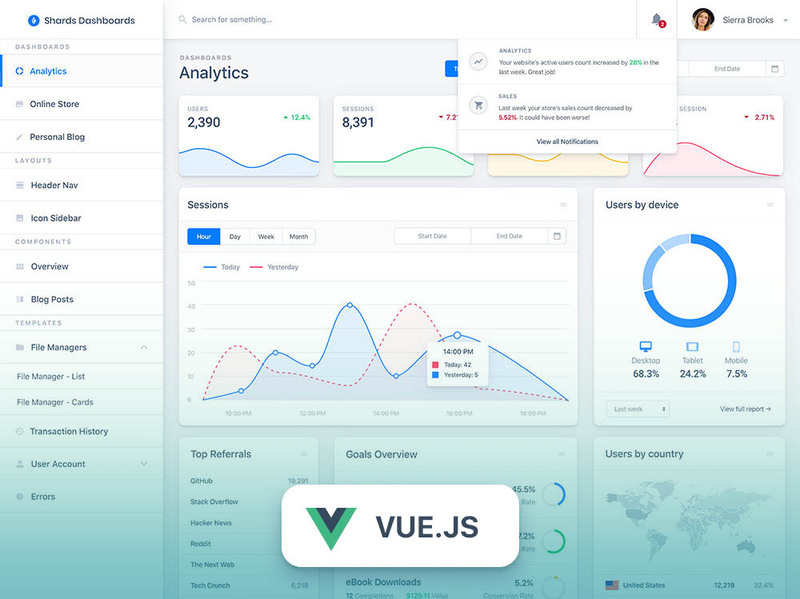 Right out of the box the Vue UI kit provides support for multiple 3rd-party plugins including Chart.js, Vue Tables 2, Dropzone.js and many more.